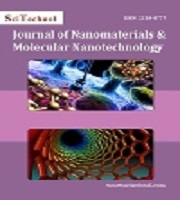 Journal of Nanomaterials & Molecular Nanotechnology is a peer-reviewed scholarly journal and aims to publish the most complete and reliable source of information on the discoveries and current developments in the mode of original articles, review articles, case reports, short communications, etc. in all major themes pertaining to Nanotechnology and making them accessible online freely without any restrictions or any other subscriptions to researchers worldwide. The journal is using Editorial Manager System for quality in review process. Editorial Manager is an online manuscript submission, review and tracking systems. Review processing is performed by the editorial board members of Journal of Nanomaterials & Molecular Nanotechnology or outside experts; at least two independent reviewers approval followed by editor approval is required for acceptance of any citable manuscript. Authors may submit manuscripts and track their progress through the system, hopefully to publication. Reviewers can download manuscripts and submit their opinions to the editor. Editors can manage the whole submission/review/revise/publish process. 2018 Journal Impact Factor is the ratio of the number of citations achieved in the year 2018 based on Google Search and Google Scholar Citations to the total number of articles published in the last two years i.e. in 2016 and 2017. Impact factor measures the quality of the Journal. If ‘X’ is the total number of articles published in 2016 and 2017, and ‘Y’ is the number of times these articles were cited in indexed journals during 2018 then, impact factor = Y/X. Nanotechnology is the manipulation or the engineering of functional matter on an atomic, molecular, and supramolecular scale. It is a science, engineering, and technology conducted at Nanoscale level that involves the designing, manipulating and producing of very small objects or structures (products) ranged on the level of 100 nanometers. Nanoethics is an emerging field of study that concerns with the study of ethical and social implications of nanoscale science and technology. With these implications of Nanotechnologies, there has always been the need of regulation concerned with the associated risks. Nanoethics focus on these public and policy issues related to the Nanotechnology research and development. Nanomaterials are one of the main objects or structures that are designed and produced by Nanotechnologies at the size level of approximately 1-100 nanometers. Nanomaterial research is a field that takes a materials science-based approach on nanotechnology. Nanoparticles are small objects, behaves as a whole unit in terms of its properties and transport. Fine particle ranges from 100 to 2500 nanometers whereas ultrafine particles size range from 1 to 100. 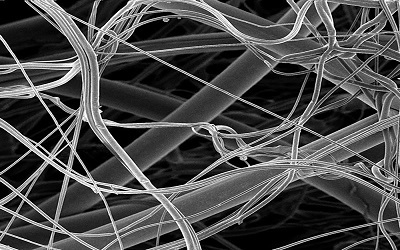 Green nanotechnology is the technology used to enhance the environmental sustainability of process producing negative externalities that include green nanoproducts used in support of sustainability. 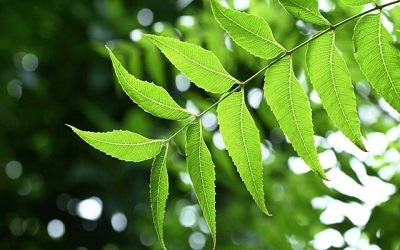 This green nanotechnology described as the development of clean technologies to minimize potential environmental and human health risks with the use of nanotechnology products. Quantum dots are nanocrystals or nanostructures made of semiconductor materials those are small enough to exhibit quantum mechanical properties and that confines motion of conduction band electrons valance band holes, or excitations in all three Spatial directions exhibiting unique electrical and optical properties which are useful potentially in biomedical imaging and other energy applications. Molecular nanotechnology is a technology using molecular manufacturing, based on the ability to build structures to complex, atomic specification by means of mechanosynthesis. It would involve combining physical principles demonstrated by chemistry, nanotechnologies, and the molecular machinery of life with the systems engineering principles found in modern macroscale factories. Nanomedicine is medical application of nanotechnology. Nanomedicine will employ molecular machine system to address medical problems. Nanomedicine will have extraordinary and far-reaching implications for the medical profession. Polymer nanocomposites consist of a polymer or copolymer having Nano particles dispersed in the polymer matrix. Polymer nanotechnology group will develop enabling techniques for the patterning of functional surfaces. Nanoelectronics refers to the use of nanotechnology in electronic components and it covers a diverse set of devices and materials. They are so small that inter-atomic interactions and quantum mechanical properties need to be studied extensively. Graphene is allotrope of carbon in the form of a two-dimensional, atomic-scale, hexagonal lattice in which one atom forms each vertex. Graphene has unwittingly produced small quantities for centuries through the use of pencils and other similar applications of graphite. Nanodevices are the critical enablers that allow mankind to exploit the ultimate technological capabilities of magnetic, electronic, mechanical, and biological systems. Nanodevices will ultimately have an enormous impact on our ability to enhance energy conversion, produce food, control pollution, and improve human health and longevity. Nanosensors are chemical and mechanical sensors that can be used to detect the presence of chemical species and nanoparticles. These are any biological or surgery sensory points used to convey information about nanoparticles to the macroscopic world. Nanorobotics is the technology of creating robots or machines at or close to the scale of nanometer. Nanorobotics refers to the nanotechnology engineering of designing and building nanorobots. Nanomachines are largely in the research and development phase. 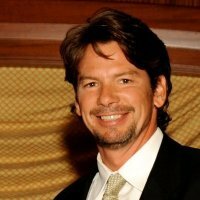 Nanotoxicology is a branch of bioscience deals with the study and applications of toxicity of nanomaterials.Because of quantum size effects and large surface area to volume ratio nanomaterials have unique properties compared with their larger counterparts. Nanotoxicity is toxic effect of nanomaterial on biological system and environment. Nanobiotechnology term refers to the intersection of nanotechnology and biology. Bionanotechnology and nanobiotechnology serve as blanket terms for various related technologies. It helps to indicate the merger of biological research with various fields of nanotechnology. Nanofabrication is the design and manufacture of devices with dimensions measured in nanometers. One nanometer is a millionth of a millimeter. 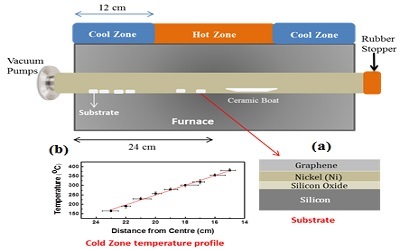 Topics of interest for Nanofabrication are all aspects of lithographic methods aiming at the submicron- to the nanoscale, and the application of the created structures and devices in physical and biomedical experiments. Nanolithography is the branch of nanotechnology concerned with the study and application of fabricating nanometer-scale structures and art of etching, writing, or printing at the microscopic level. The dimensions of characters are on the order of nanometers. Pharmaceutical Nanotechnology is being employed in the pharmaceutical field for many reasons. The leading goals are to improve drug solubility or bioavailability or delivery to various sites of action. It provides two basic types of nanotools, those are nanomaterials and nanodevices. 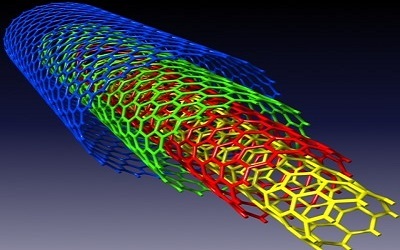 Carbon nanotubes are allotropes of carbon with a cylindrical Nano structure. Carbon nanotubes are long hollow structures and have mechanical, electrical, thermal, optical and chemical properties and these nanotubes are constructed with length to diameter ratio of 132,000,000:1.